Copyright © 2003-2019 by James Oakley. All rights reserved. Redistribution and use without modification is permitted provided that this license notice is included in the distribution, and provided that there is a link given back to the homepage for Mandelbrot Explorer, http://www.mandel.org.uk. 3. Buying products from Zazzle. Mandelbrot Explorer comes with a feature that allows you to order products, featuring images created with this software, from Zazzle.com, Inc.
(i) If you use this feature, you understand that your contract to purchase the merchandise is with Zazzle.com, Inc. and not with Mandelbrot Explorer. Any customer service, distance selling, quality control, or financial issues that result are for you to resolve directly with Zazzle.com, Inc., and Mandelbrot Explorer cannot mediate or assist with any such issues. (iii) You agree only to use this feature with fractals that you have created yourself using Mandelbrot Explorer, the parameters for which are not the intellectual property of any third party. Mandelbrot Explorer cannot be held liable if you use this feature in any way that contravenes copyright legislation in any country. 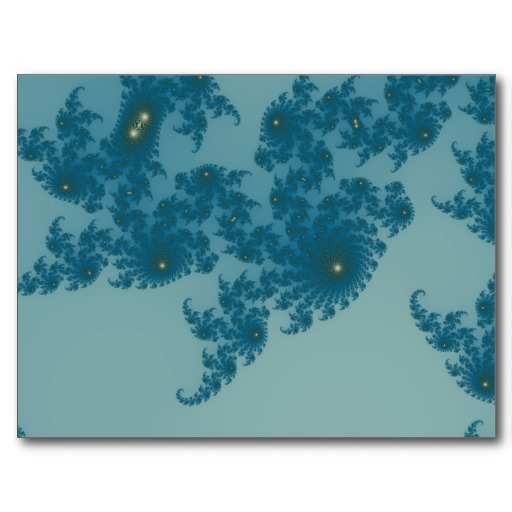 (iv) In order to use this feature, Mandelbrot Explorer must first upload your images to webspace managed by Mandelbrot Explorer; Zazzle.com Inc. accesses the file from there at your request. Mandelbrot Explorer takes reasonable steps to ensure that images you upload are only accessible by you. However you agree that Mandelbrot Explorer is not liable for any damages to you, consequential or otherwise, should a third party intercept any of your images. This includes interception by packet snooping, web server hacking, dictionary attack, keyword logging, website injection vulnerabilites, software failures or any other cause. (v) To prevent abuse of this feature, we store the IP address of computers that upload pictures in this way. No other personally identifiable information is stored. Your image is held for 28 days, after which it may be deleted to free up space for new images. (vi) Zazzle, and the Zazzle logo and icons, are Registered Trademarks of Zazzle.com, Inc. THIS SOFTWARE IS PROVIDED BY THE AUTHOR AND CONTRIBUTORS 'AS IS' AND ANY EXPRESS OR IMPLIED WARRANTIES, INCLUDING, BUT NOT LIMITED TO, THE IMPLIED WARRANTIES OF MERCHANTABILITY AND FITNESS FOR A PARTICULAR PURPOSE ARE DISCLAIMED. IN NO EVENT SHALL THE AUTHOR OR CONTRIBUTORS BE LIABLE FOR ANY DIRECT, INDIRECT, INCIDENTAL, SPECIAL, EXEMPLARY, OR CONSEQUENTIAL DAMAGES (INCLUDING, BUT NOT LIMITED TO, PROCUREMENT OF SUBSTITUTE GOODS OR SERVICES; LOSS OF USE, DATA, OR PROFITS; OR BUSINESS INTERRUPTION) HOWEVER CAUSED AND ON ANY THEORY OF LIABILITY, WHETHER IN CONTRACT, STRICT LIABILITY, OR TORT (INCLUDING NEGLIGENCE OR OTHERWISE) ARISING IN ANY WAY OUT OF THE USE OF THIS SOFTWARE, EVEN IF ADVISED OF THE POSSIBILITY OF SUCH DAMAGE. This software includes a feature whereby it will contact a webserver once a week to check for new versions. The only information transmitted in such a request is the name and version of this software and a unique identifier for your particular installation. This unique identifier is generated at random by the software on your computer, and is not known to the webserver; it cannot be linked to you. No personally identifiable information, including your computer's IP Address, is stored during this process, except for the information available as standard from Apache Server Logs.